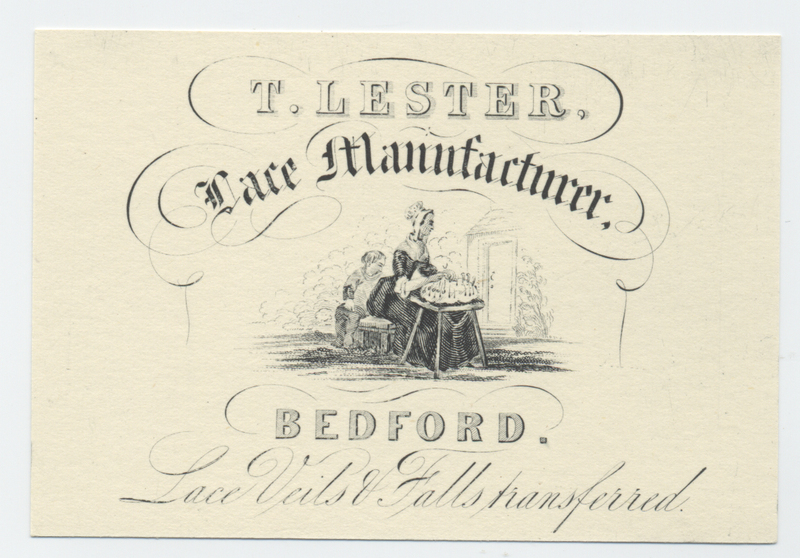 Following on from Victoria’s popular ‘The Etiquette of Visiting’ blog I have been looking at the trade cards in the museum collection. 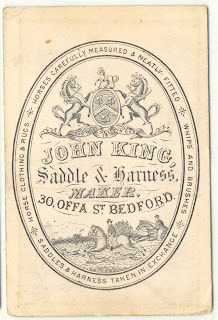 These have been produced by a variety of businesses in Bedford over the last couple of centuries. 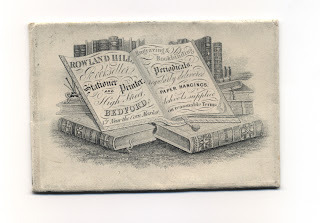 Visiting cards were the precursor of the trade card, but the two served very different purposes and to mix them up was regarded as an insult both in the past and in some circles even today. Today’s modern business cards lie somewhere between the two types, often forming the basis of introducing the individual as well as the business they are in. 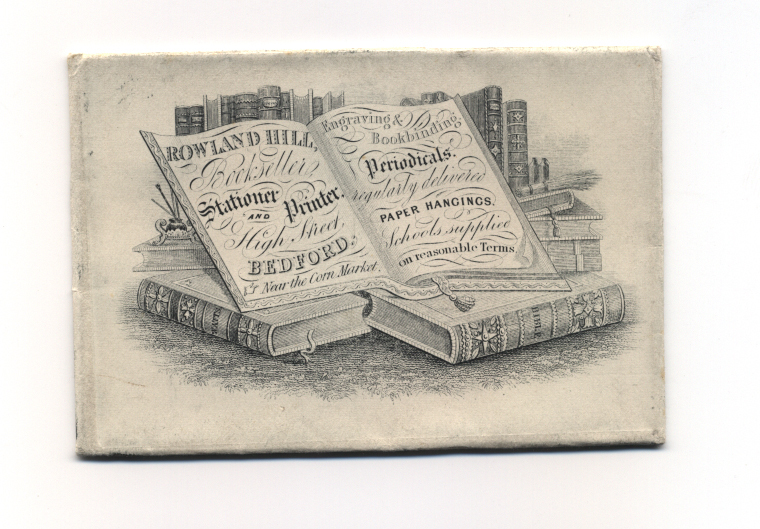 ﻿﻿﻿﻿The earliest form of trade cards can be found in London during the 17th century and grew in popularity as printing methods grew up across the country. 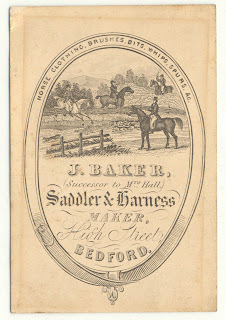 Early trade cards could be printed by Letterpress, which was invented as an alternative to Calligraphy. The type was hand cast and individual letters were hand set into lines, until machine set composition made this process more straight forward. Woodcuts were the other kind, which involved the technique of engraving letters into and printing from a woodblock. Copper-plate engraving became the most popular form in the 18th and 19th Century for trade cards, until Lithography came in from 1830 onwards as the established method and provided the opportunity to print in colour. The rise of the middle class during the Industrial Revolution and an overall lessening of social formality meant that a class of private entrepreneurs emerged that needed to promote their business services and exchange contact information. This class merged the idea of the visiting card and trade card to produce the first variation of the modern business card. These were handed out widely at presentations and exhibitions, but were often looked upon with disdain by members of the upper class. 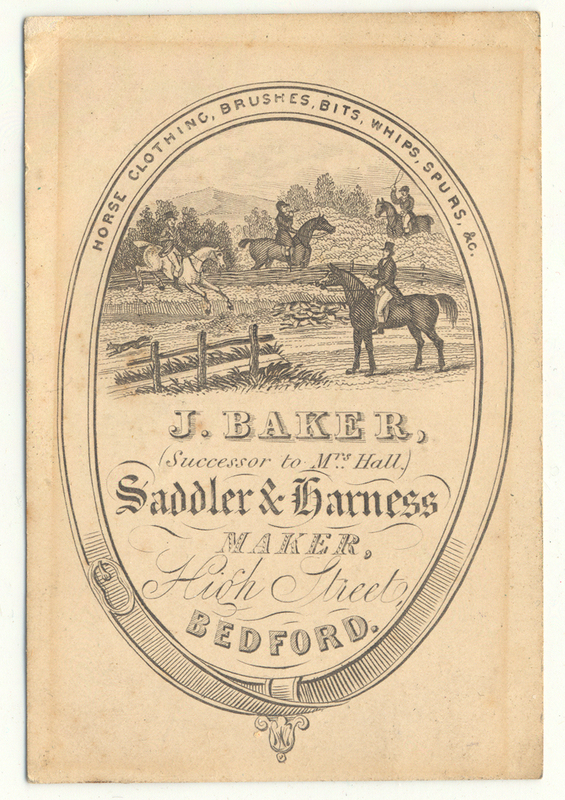 ﻿﻿﻿﻿﻿Other industries aside from the Sadler's cards, who often depicted horses on their cards, would also take an illustration of a key feature of their business, such as this one produced by Rowland Hill of 40a High Street, Bedford, Printer and Stationer. 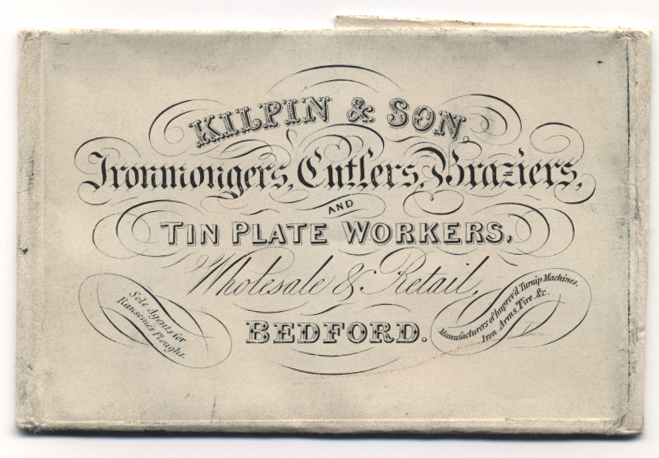 bookbinder, periodicals regularly delivered, paper hangings, schools supplied". 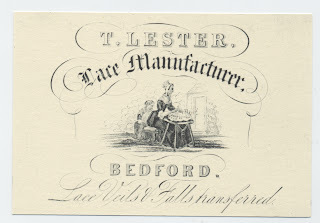 Thomas Lester, lace designer and manufacturer similarly depicts a lacemaker on some of his business cards. 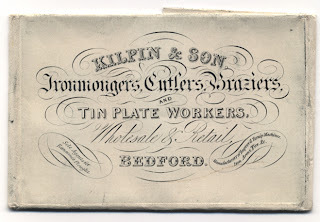 With business often going on personal recommendation from other customers, having a business card that could be handed to current or prospective customers was essential, for example for businesses that were quite specialised like Clock and watchmaker, S Miller. 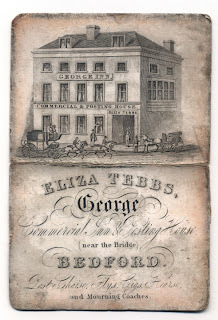 Even less specialised shops though like the local grocers, such as Jelley and Clarke, with their delivery service, would also have their own cards for customers. The George Inn’s card depicts the building itself and this was often a technique used on trade cards to help customers find their location. This was certainly the case in the early years before street naming was formalised and often maps would also be provided on the card to help guide customers to the shop. The range of businesses shows that most viewed business cards as an essential promotional tool. This was perhaps later supplemented and overridden by the growth of local newspapers like the Bedford Times and the local Kelly’s directories by way of advertising their services to potential new customers. 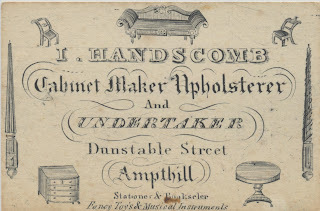 The combination of services within one business as advertised on these cards always fascinates me, showing the versatility of many of these local craftsmen. 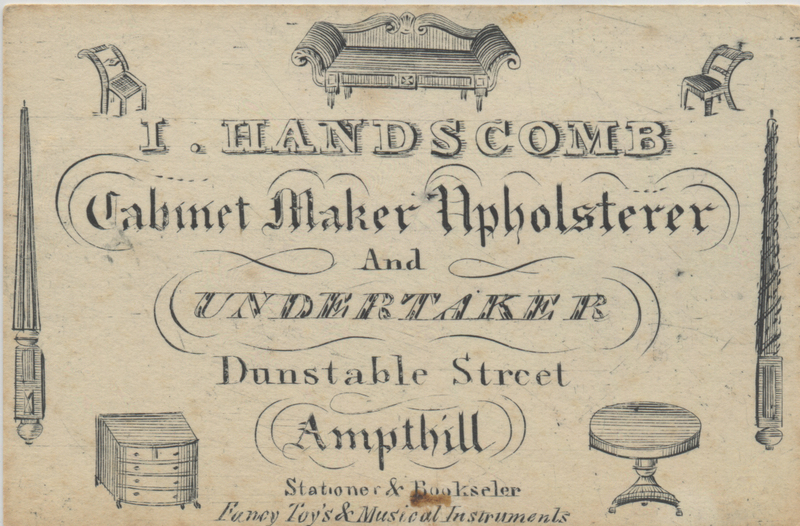 Below is the card for Mr Handscomb who combines his woodworking skills in being both an established cabinet maker and undertaker at his shop in Ampthill. The trade card has evolved and today Corporate branding and individual business identity is promoted through a combined personal and business card, usually with corporate logos in a digitally designed and printed card. The fact that this form has changed relatively little over the last few hundred years shows their effectiveness. The e-business card seems to have become their next evolution, attached to emails, but also available in a printed format. 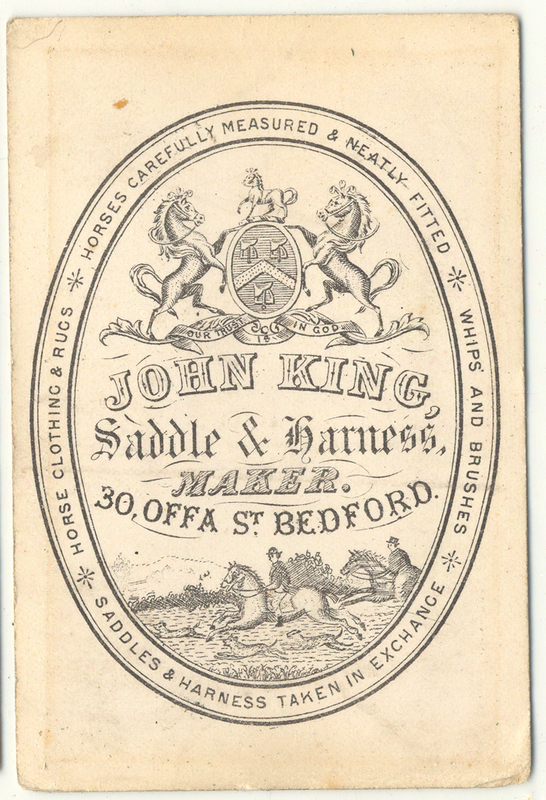 If you feel inspired by the cards in this blog and have any historic trade cards from local Bedford businesses, or indeed any unusual and individually designed more modern versions, then please email them to chag@bedford.gov.uk and I will upload them to the blog. Alternatively find us on Facebook or post pictures to our Flickr group.